Home Real Estate Confidential Sponsored: Real Estate Confidential — Can you condo? Sponsored: Real Estate Confidential — Can you condo? The view from an Edgartown Residence Club condo. So you think a condominium is your solution for living on and enjoying all that Martha’s Vineyard has to offer. You might be downsizing your life on the Vineyard, looking for an investment that also allows for short Vineyard stays, looking for an easy entré into Vineyard living or simply want an easy-living second home with few if any maintenance concerns. The options on Martha’s Vineyard are many and varied: from simple studio cottages to the height of elegance with all your needs met, even a personal concierge. Island zoning laws restrict easy development of new condo developments and conversions do happen but most current condominium developments have been in existence since the 80’s and before. And what is a condo? A simple definition is that ownership of a parcel is shared by a group of resident owners managed by an association of the owners. Unit owners are responsible for and own the interior of the living spaces, often to the finished walls (but not always). The association is responsible for the areas beyond the finished walls, typically the structures themselves, the plumbing, the common sewer lines, etc. In addition, there are common elements that might include pathways, recreation facilities, swimming pools, tennis courts, and paid for through expenses charged to the owners. Before buying a condo, you must carefully review all documentation so you are aware of all your rights and responsibilities and those of the association and to have a clear understanding of the financial structure and current status. There is no getting around the fact that due diligence in the case of a condominium purchase requires an examination of the association records and legal documents preferably by an attorney. One of my first recommendations is often Meetinghouse Village in Edgartown. 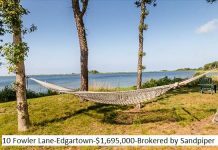 It is perfect for year-round, second home or rental investment, located between town and South Beach plus walking distance to Edgartown Great Pond for kayaking, and of course there’s a pool. As opposed to other forms of condo ownership, you have total control over rentals without a management team taking an often large share of your profit. A currently listed 2-bedroom unit has an open floor plan with vaulted ceilings, skylights, with lots of natural light. Sliders to a deck and backyard area that offers more privacy than you might expect in association living. Unit 20 is currently listed for $545,000. Harborview Cottages at the Harborview Hotel are available for purchase in a fully managed intown condominium across from the Edgartown Lighthouse. You can enjoy the advantages of year-round use, outdoor pool, bar, restaurant, concierge and bell service, professional grounds and building maintenance. A fully managed rental service is available when you are not in residence. Currently there are 1, 2, and 3-bedroom units available priced from $1,050,000 to $1,715,000. Built in 1891, the cottages were renovated top to bottom in 2008 to include luxury, upscale kitchens (should you tire of Henry’s Bar or Lighthouse Grill) and like-new interiors and exteriors. The Edgartown Commons provides the opportunity for reasonably priced seasonal use in a 35-unit residential community in downtown Edgartown. Amenities include swimming pool, expansive playground and onsite management for rentals of your unit when not in use. A new expense sharing plan lets you know all costs up front and a good idea of net income if used partly or wholly as an investment. You only pay for interior upkeep. The best Edgartown village value where you can walk to everything the town has to offer is a 2-bedroom unit recently reduced to $229,000. Tashmoo Wood is a private community with a mix of townhouse style condos and single family homes in the West Chop area of Vineyard Haven and adjacent to Mink Meadows Golf Club. The association includes some of the best amenities available on Martha’s Vineyard. In addition to the nearby semi-public golf course, you will have a swimming pool, tennis courts, private boat landing and dock on Lake Tashmoo, walking trails, easy access to town, plus conservation and association beaches on the Lake as well as Vineyard Sound and A/C. There are currently 2-bedroom, 3-bath units priced about $700,000 and a free standing 4-bedroom 3 ½ bath unit pre-construction priced at $1,499,000. For many Island and particularly Edgartown visitors, Mattakesett and the Winnetu Resort is what the Vineyard is all about — the Club Med of the Island with a great family program that keeps the kids happily engaged all day long, all summer long. 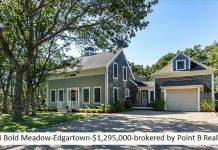 A community pool, tennis courts, yoga classes and fitness center, plus South Beach out your backdoor and bike path to Edgartown out the front. Mattakesett is a resort community consisting of 48 townhouse homes, 24 duplex “Bay Homes” as well as many individual homes. Over the years, Mattakesett has been an excellent rental investment. Currently a 3-bedroom, 3-bath duplex is available priced at $875,000. 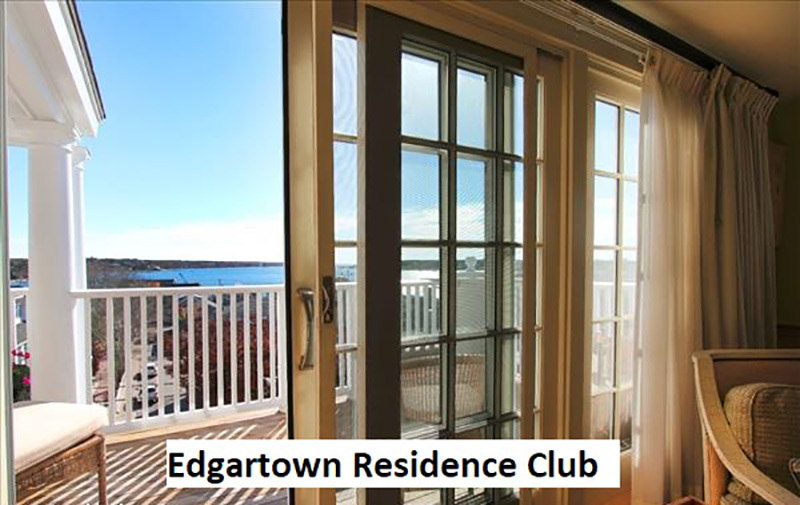 Edgartown Residence Club provides an opportunity to have a vacation with shared ownership directly overlooking Edgartown harbor and all of the shopping area. The amenities are extensive, with exclusive use of a car while in residence, airport and ferry shuttle transportation, a fitness room, salon and day spa, onsite gourmet dining in season, plus personal concierge service, daily housekeeping, pre-arrival and in-house shopping, a private owners lounge and membership in the prestigious Registry Collection — with access to vacations worldwide, Current available shares which guarantee you a minimum 21 days use range from $125,000 to $250,000. A complete list of condominiums currently on the market can be viewed at Martha’s Vineyard Condos.